The next session for Beginners 1 and 2 classes starts on Sept 6, 2014 – Saturday. 2. On the day of the class, print, sign and bring the Liability Release Form. 3. Please bring a check made out to “Atlanta Kendo Kai” for the $80 fee (plus $20 if you opted for a shinai) for the 8-week beginners session. 5. Come wearing comfortable, loose fitting clothes for exercising. 6. Class starts promptly at 5:00pm. Please arrive a few minutes early so we can get your paperwork processed. We’re looking forward to seeing you at the dojo! 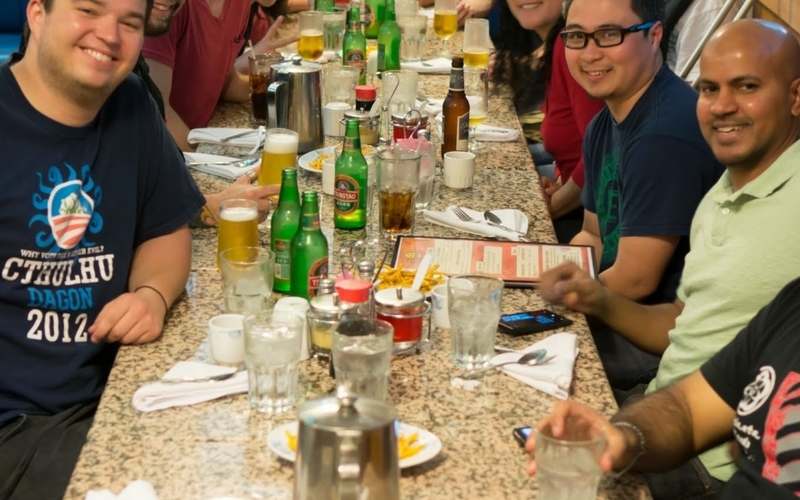 The next session for Beginners 1 and 2 classes starts on July 12, 2014 – Saturday. The next session for Beginners 1 and 2 classes starts on May 3, 2014 – Saturday. 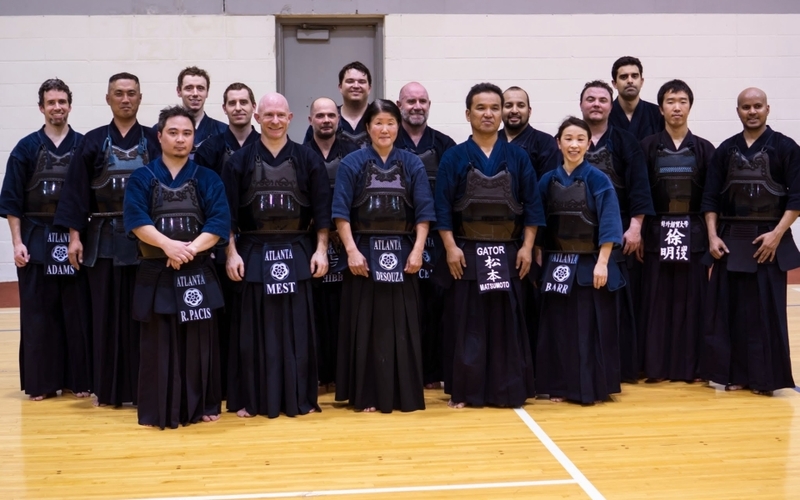 Thank you to Matsumoto Sensei and Eric Hibbs who practiced with us last Saturday! The next session for Beginners 1 and 2 classes starts on March 1, 2014 – Saturday. The next session for Adult and Youth Beginners 1 and 2 classes starts on January 4, 2014 – Saturday. The next session for Beginners 1 and 2 classes starts on November 2, 2013 – Saturday. The next session for Beginners 1 and 2 classes starts on September 7, 2013 – Saturday. 3. Please bring a check made out to “Atlanta Kendo Kai” for the $80 fee for the 8-week beginners session. Congratulations to everybody who won and passed their promotion exams in the All-Carolina and Cleveland Tournaments! As announced, the 2013 registration process for the All US Kendo Federation (AUSKF), SouthEastern US Kendo Federation (SEUSKF) and of our dojo, Atlanta Kendo Kai is now ongoing. If you wish to participate in any AUSKF/SEUSKF event such as a tournament or promotional testing this year, you will have to register and pay the appropriate dues for AUSKF/SEUSKF. We highly encourage everybody to pay these dues so we can all test together and compete at tournaments. Otherwise, you can still opt to just pay the annual dojo fee. The deadline for the registration and payment of fees is February 16, 2013 – Saturday. 1. Required form: If you were NOT a member last year, please complete the SEUSKF AGREEMENT AND RELEASE FROM LIABILITY.pdf. 2. Payment of fees: Please make one check payable to “Atlanta Kendo Kai” for the amount of $90 for Adults aged 18 and over or $70 for Youth aged 17 and under. 1. 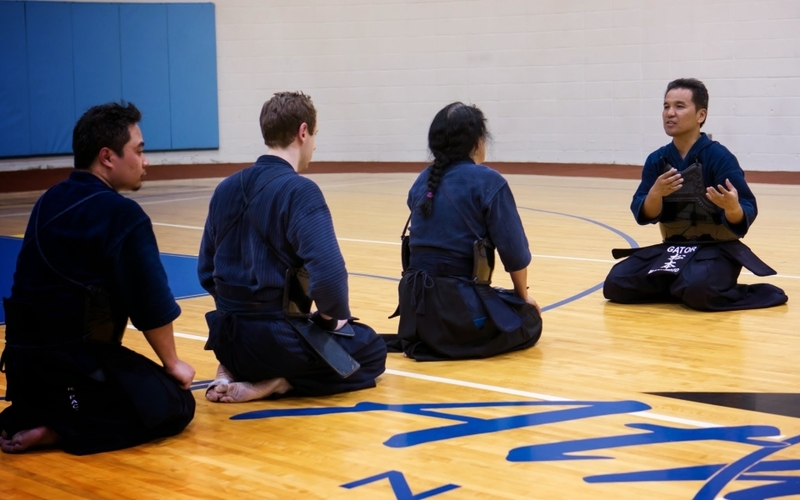 If you have no plans of going to a tournament or testing for the entire year, you can opt to just pay the annual Atlanta Kendo Kai dues. 2. Payment of fees: Please make a check payable to “Atlanta Kendo Kai” for the amount of $20 which is our annual dues. The dues are used to fund the different internal projects the dojo undertakes throughout the year.